Featured is Jake Hillesheim’s favorite chicken wing recipe. Double-baked hot BBQ, perfect for any night of the week or GAMEDAY! 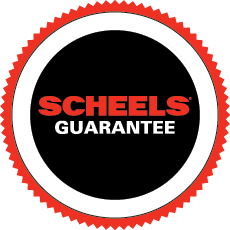 As you plan your next tailgate party don’t skip out on this great chicken wing recipe from SCHEELS Grilling Expert Jake Hillesheim. This simple recipe offers a smooth smokey flavor with just the right amount of Texas kick if you are looking for a little extra bite.